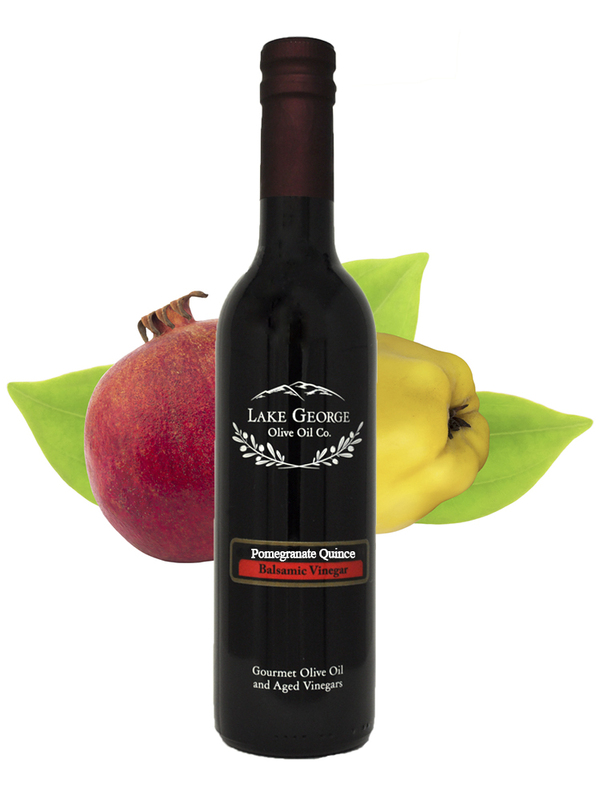 Pomegranate-Quince White Balsamic – Lake George Olive Oil Co. This sparkling ruby jewel-toned white balsamic owes its tart, crisp flavor to Juicy California Pomegranates and Floral Winter Quince. 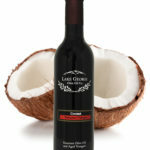 It is made from authentic white balsamic condimento, aged for up to 12 years in Modena, Italy. 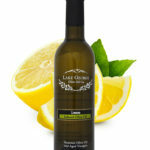 Recommended Pairings: Any fruit infused olive oil, Hojiblanca Extra Virgin Olive Oil, Picual Extra Virgin Olive Oil.